There’s been lots of research done about plagiarism, cheating and other topics related to academic integrity, but how much of it has actually been done in — or about — Canada? That’s the question my co-author, Rachael Ileh Edino, and I asked when we set out on a journey to review the published research literature about these topics, casting a specific lens on the Canadian context. The results have been published by the International Journal for Educational Integrity. We present findings of a literature review on the topic of educational integrity in the Canadian context. Our search revealed 56 sources, published between 1992 and 2017. A historical overview showed a rise in the number of scholarly publications in recent years, but with an overall limited number of research contributions. We identified three major themes in the literature: (a) empirical research; (b) prevention and professional development; and (c) other (scholarly essay). Our analysis showed little evidence of sustained research programs in Canada over time or national funding to support integrity-related inquiry. We also found that graduate students who completed their theses on topics related to educational integrity often have not published further work in the field later in their careers. We provide five concrete recommendations to elevate and accelerate the research agenda on educational integrity in Canada on a national level. We conclude with a call to action for increased research to better understand the particular characteristics of educational integrity in Canada. Check out the entire article: Strengthening the research agenda of educational integrity in Canada: a review of the research literature and call to action. The first time I engaged with a group via e-learning was in 2005. I have been teaching graduate courses online since 2011. We often follow a standard learning design of having students read material and then write an online discussion post summarizing and/or reflecting on their readings. They repeat this format in just about every course they take. Students have anecdotally reported that they find this process tiresome, static and not very productive in terms of learning. As a course instructor, I also find it somewhat unproductive. Don’t get me wrong. I firmly believe that written tasks have their place. At the same time, I also believe that we can provide students with challenging and engaging ways of learning that go beyond the traditional text post on a discussion board. With that in mind, I have been playing around with using video to make online learning more engaging for my students. Since the course I am teaching right now is as Master’s level course called Language Learning and Technology, we are learning about how to incorporate technology into learning meaningful ways. I figured that if continue to engage through traditional text-posts, we are not really learning how to incorporate technology in new ways! So, I have challenged the students to do video posts about their course readings, instead of their usual weekly write ups. Students are creating and sharing videos of 3 minutes or less that classmates and I can read and respond to. Students post their videos within our learning management system (D2L) that is associated with the course. To lead by example, I have also been posting weekly videos welcoming students to each week of the course. In this week’s video post, I offer my own reflections on a recent article that I read, showing them how they can do their own reflections on a reading in their video posts. I realized after I posted my video that I could have conducted a more in-depth reflection in my post. This was good learning for me, because I had a lot more thoughts swirling around in my head about the reading I did, but I didn’t express them all in the video. In a written post, I would have taken the time to write, edit, revise and then maybe edit and revise some more. In the video post, I shared my reflections, but didn’t fuss over whether it was perfect. I will be mindful of this when I engage in my assessment of students’ learning using this format. You can see that I start off with the date, and mentioning the weather for today in Calgary, where I live. I wanted to show students that I was not recycling material and that what I was creating for them was new and fresh. I think showing that the material is new not only enhances learning and promotes principles of academic integrity, it shows we are not being lazy as instructors. I think that traditional text posts can be problematic in terms of academic integrity because students may be tempted, from time to time, to have someone else write posts on their behalf. This is a form of contract cheating (where a third party completes work on behalf of a student). Curtis and Clare (2017) reported that about 3.5% of students admitted to contract cheating. Even though that percentage is small, it is still important for instructors to offer students ways of demonstrating learning in ways that go beyond traditional writing tasks. It is important for instructors to changes the circumstances that might make it easier or more tempting for students to have someone else complete work on their behalf. I mention this only because I research and write about topics related to academic integrity, so it’s always on my mind. By and large, I think our students are committed to their learning and act with integrity as professionals and as learners. My intention with these activities is to offer students an opportunity to engage in ways other than text that is authentic and interesting. The process of reflecting on readings is different when we engage verbally than in writing. We are still using text-based elements of the course such as replies to weekly posts, but so far, video seems to providing a fun-yet-rigorous way for students to showcase their learning. I am trying something a little different with my course readings for the Master of Education summer course I am teaching, Language Learning and Technology, a living reading list. We are required to list the course readings in our syllabus. This helps keep everyone organized and allows students to be fully prepared for their course. The problem is that many of our students are eager change agents who often bring in additional resources that everyone finds useful. So in addition to including a basic set of readings in the course outline, I will update this post throughout the course as a living list of readings, with contributions of gems we find along the way to promote co-creation of knowledge with and along side these very capable graduate students. This page contains a list of all your course readings. One of the readings is no longer freely available on the Internet, but I have posted it below as a .pdf, under Fair Dealing, as approved by the University of Calgary Copyright office. Mishra, P., Koehler, M. J., & Kereluik, K. (2009). Looking back to the future of educational technology. TechTrends, 53(5), 48-53.
van Olphen, M. (2008). World language teacher education and educational technology: A look into CK, PCK, and TPACK. Annual meeting of the American Educational Research Association (AERA). Ham, J.J., & Schnabel, M.A. (2011). Web 2.0 virtual design studio: social networking as facilitator of design education. Architectural Science Review, (54)2, 108-116. Doi: 10.1080/00038628.2011.582369. Marshall, S. (2014.) Exploring the ethical implications of MOOCs. Distance Education, (35)2, 250-262. doi: 10.1080/01587919.2014.917706. Mifsud, C. L., Vella, R., & Camilleri, L. (2013). Attitudes towards and effects of the use of video games in classroom learning with specific reference to literacy attainment. Research In Education, 90(90), 32+. Anderson, T., Rourke, L., Garrison, D. R., & Archer, W. (2001). Assessing teacher presence in a computer conferencing context. Journal of Asynchronous Learning Networks, 5(2), 1-17. Bralić, A., & Divjak, B. (2018). Integrating MOOCs in traditionally taught courses: Achieving learning outcomes with blended learning. International Journal of Educational Technology in Higher Education, 15(1), 1-16. Cagiltay, N. E., Ozcelik, E., & Ozcelik, N. S. (2015). The effect of competition on learning in games. Computers & Education, 87(1), 35-41. Duenas, M. (2004). 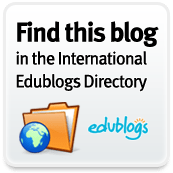 The whats, whys, hows and whos of content-based instruction in second/foreign language education. International Journal of English Studies, 4(1), 73-96. Garrison, D. R., & Akyol, Z. (2013). Toward the development of a metacognition construct for communities of inquiry. The Internet and Higher Education, 17, 84-89. Golonka, E.M., Bowles, A. R., Frank, V.M., Richardson, D.L., & Freynik, S. (2014). Technologies for Foreign Language Learning: A Review of Technology Types and Their Effectiveness. Computer Assisted Language Learning, 27(1), 70-105. Hughes, A. (2003). Testing for language teachers (2nd ed.). Cambridge: Cambridge University Press. Hutchison, A., Beschorner, B., & Schmidt-Crawford, D. (2012). Exploring the use of the iPad for literacy learning. The Reading Teacher, 66(1), 15. Jacobs, G., & Farrell, T. (2003). Understanding and implementing the CLT (Communicative Language Teaching) paradigm. RELC Journal, 34(1), 5-30. Keat, Jane B., Strickland, Martha J., & Marinak, Barbara A. (2009). Child Voice: How Immigrant Children Enlightened Their Teachers with a Camera. Early Childhood Education Journal, 37(1). Martin, A. R. (2015). Is MOOC madness here to stay? an institutional legitimacy study of employers (Order No. 3714173). Pariser, E. (2011). The filter bubble: How the new personalized web is changing what we read and how we think. New York: Penguin Books. Stoller, F. (2008). Content-based instruction (N. V. Deusen-Scholl & N. H. Hornberger, Eds.). In Encyclopedia of language and education (Vol. 4, Second and foreign language education, pp. 59-70). New York: Springer. Turow, J. (2013). The daily you: How the new advertising industry is defining your identity and your worth. New Haven: Yale University Press. Wu, I. X. Y. ; Kee, J. C. Y. ; Threapleton, D. E. ; Ma, R. C. W. ; Lam, V. C. K. ; Lee, E. K. P., Wong, S. Y. S. & Chung, V. C. H.(2018). Effectiveness of smartphone technologies on glycaemic control in patients with type 2 diabetes: systematic review with meta-analysis of 17 trials. Obesity Reviews. 19(6), p.825-838. The issue about self-plagiarism among graduate students has been a hot topic among colleagues for some time. About a year and a half ago, my co-author and I embarked a journey to find out what the research said about it. We opted to conduct a scoping review, with a focus on social sciences broadly. Our results were recently published in Interchange. The abstract below gives you some highlights and if you’re interested in more, the citation that follows has a link to view the entire article online. You are currently browsing the Learning, Teaching and Leadership blog archives for July, 2018.